1. On a 9 X 13 tin foil piece, place potatoes in center. 2. Drizzle with olive oil and herb. 3. Bring up ends of tin foil and seal. 4. Cook on medium heat on grill for 25 to30 minutes or until potatoes are tender. Note: Be careful opening tinfoil packet releasing steam. 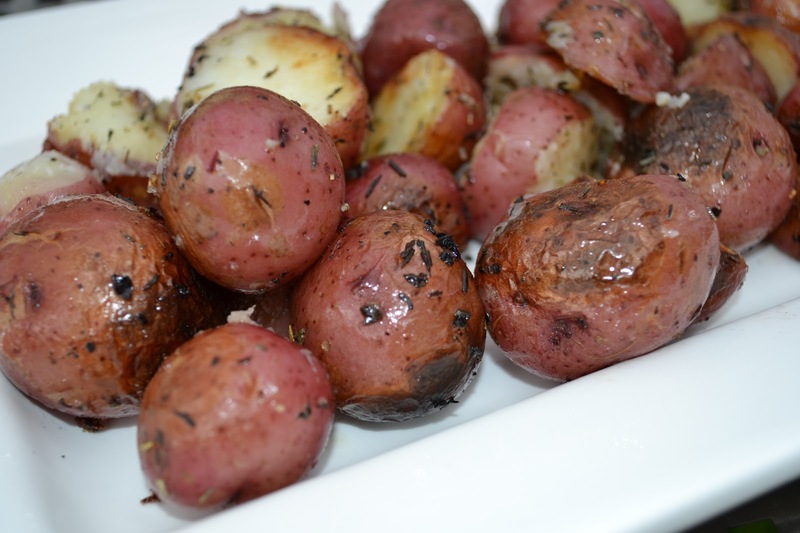 Roasted Potatoes on the grill is a delicious accompaniment to any summer time meal.